A Rutherford County juvenile inmate thought to be armed and dangerous escaped the custody of police on Thursday afternoon. NASHVILLE, Tenn. (WTVF) — It's been five days since the juvenile with a violent past, Tai Harrell escaped. Harrell, a Clarksville juvenile inmate thought to be armed and dangerous escaped the custody of police Thursday afternoon. 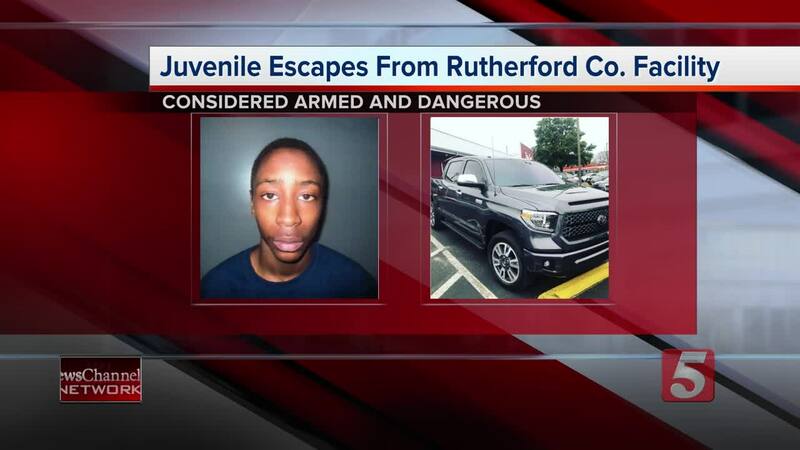 The 16-year-old escaped from the Juvenile Services Center in Rutherford County; law enforcement says Harrell escaped custody from the Juvenile Services Center when he hopped the wired the fence and took off. 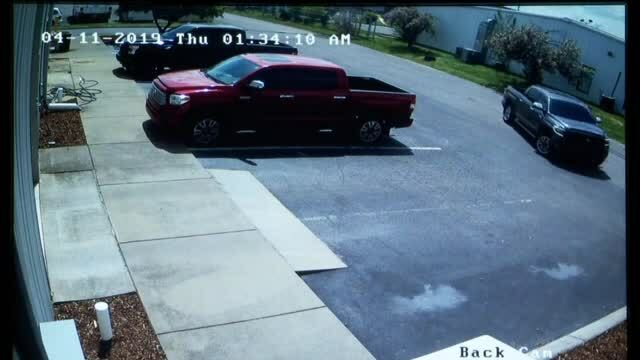 Mufreesboro Police officials believe after his escape, Harrell he stole a charcoal grey 2019 Toyota Tundra from Parker's Window Tinting on Church Street in Murfreesboro, which is about an eight-minute walk from the detention center. The truck has a Tennessee temporary tag and a loaded 45 caliber handgun inside. "I've got a a Springfield XD 35 in the cup holder and that's my main concern. I don't care about the truck, I care about the officers who make the stop on this guy. So, that's my main concern, I hope everything turns out good considering obviously, he's not a good person or he wouldn't be in the position that he is because he does have quite the criminal background and to know that my pistols in there with him, kind of scary," said Rhett Parker. Parker, owner of the Parker Brothers Window Tinting says it all happened in a matter of seconds. "I don't care about the truck, truck doesn't matter, even though it's a week old; it does kinda hurt my feelings, brand new truck, less than 100 miles on the dang thing, but that's all part of it, I'm not worried about that, that's what we have insurance for. 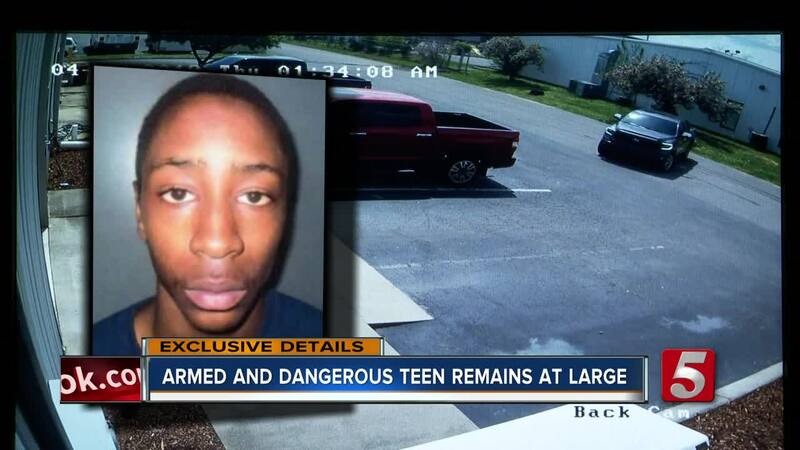 I just want our law enforcement to be safe in the apprehension of this guy," said Parker. Harrell has a criminal history and was at the center of another search in Clarksville including auto theft and aggravated assault . He is described as a having a skinny build at about 5'6" tall, wearing a black and white jumpsuit. He also has a Bart Simpson tattoo on one arm and a "410" tattoo on the other arm. Harrell is from Clarksville, but it is thought that he may be out of state, possibly with a girlfriend in Ohio. This likely explains why the U.S. Marshals are assisting with the search. 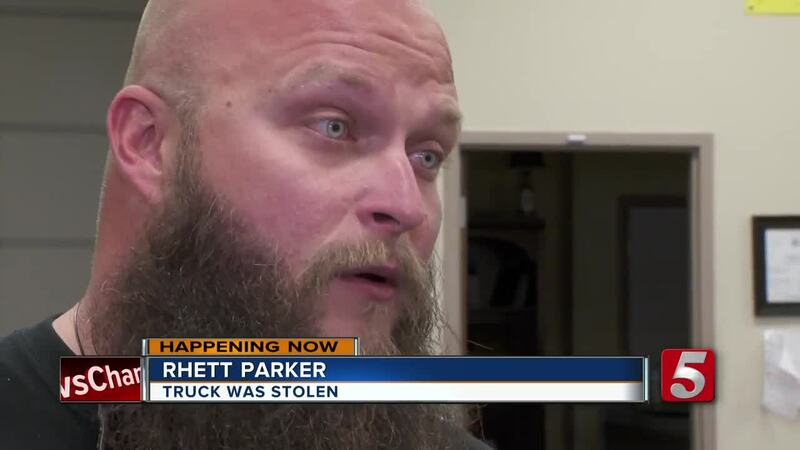 For now, the stolen truck is still missing and so is Harrell. Authorities say there's little question he's getting help while on the run. Anyone who does aid Harrell in avoiding capture will face charges for harboring a fugitive. Police are asking that anyone with information regarding the whereabouts if Harrell contact them immediately.